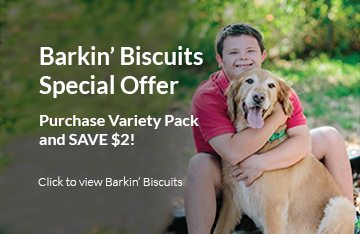 There are over 25 retail outlets that currently stock Barkin’ Biscuits and support our special chefs’ efforts to provide your pup with tasty, all-natural dog treats. Check out our retail suppliers below and pick up a box today! Bonne Nuit – 3579 St. John’s Ave.
Chick-fil-A – 590 Marsh Landing Pkwy. Earth Fare – 11700 San Jose Blvd. Lucky ‘s Market – 580 Atlantic Blvd. BARK on Park – 1021 Park St. or 45 W Adams St.